Ibiza is a Mediterranean island located off the eastern coast of Spain. When are Ibiza Party Trips on? Peak season in Ibiza is the European Summer, with Ibiza Opening Parties for the season typically take place at the end of May, while Ibiza Closing Parties are mostly held during the first weekend in October. What happens on an Ibiza Party Trip? That's far too hard to put into words...check out these two videos on what to expect. During the summer, Ibiza Town and San Antonio attract thousands of tourists each week who want to be part of the biggest and most raucous party scene on the planet. Privilege, Space, Amnesia, Pacha, and other well-known clubs attract throngs of visitors with performances by the world's most popular producers and DJs. Many electronic dance masters choose this atmosphere to launch their newest creations in the techno, trance, and house music genres. The island is known for its tolerance of provocative behavior by its tourists, which makes it a popular place for young singles and couples who have a desire to take a walk on the wild side. In addition to hitting up the many nightclubs, tourists can enjoy underground music parties featuring international artists. So How Do You Get To Do These Party Trips to Ibiza??? To go to Ibiza on a Party Trip is definitely a must-do travel experiences. We have extensive information on all the Ibiza Party Trips tour options available. If you are an independent traveller and you like to book it all yourself, then we have all the tools required for you to get the best out of your Ibiza Party Trip experience. Check out our Accommodation booking page, where you will find both our Hotel and Hostel Search Engines. If you need to book flights, we have a great Flight Search Engine that searches hundreds of online travel and airline websites to find you the best deal. With all our search engines all deals are located on one easy page for you to click, compare and book. One of the best and fun ways to enjoy a Party Trip to Ibiza is to join one of the many tours on offer. 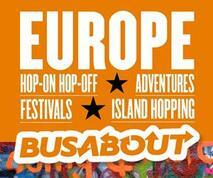 We have some information on a few of the great tour operators who specialise in Party Tours to Ibiza. The following tour operators are some of the biggest and best in the business and they will be sure to provide you with an amazing experience that is sure to cure your travel FOMO. from Barcelona, it is up to you. Once you're there your party begins at the Stoke Travel Ibiza Hippie Camp!. 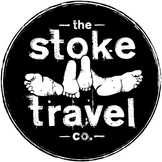 So what is included in your Stoke Travel Ibiza Trip? You get your accommodation sorted at the Stoke Travel Ibiza Campsite, breakfast and lunch each day and an “OPEN” campiste bar from 11am to 11pm every day at the campground for just 10 Euro a Day! Stoke Travel also offers special packages for closing weekend as the summer comes to an end with the final parties of the season. Check out more information on our Stoke Ibiza Trips page. Busabout's four-day Ibiza Blast tour runs from June to September and includes guided orientation, hotel room, and three buffet breakfasts. Also included are a sunset boat cruise, pub crawl, entrance to a Super Club and discounted tickets to nightclubs. You can also combine this tour with a trip to La Tomatina back on the Spanish mainland. On this Busabout Ibiza trip you can party with famous DJs in the world’s best clubs and dance to a truly beautiful sundown in Ibiza. ﻿Thomson Scene Ibiza hotels are all centrally located in San Antonio and they have five different options for you to choose from, depending on your budget, location and party needs. Of course, there are plenty of Thomson Scene Reps at each place to help get the party started. Four of the Thomson Scene Ibiza resorts are Self Catering. There is also bars on site dishing out plenty of drinks to get you ready for the big party night ahead. Club 18-30 Ibiza Resorts are all located in and around San Antonio and they have five different options to choose from, with three of the Club 18-30 Ibiza hotels with Self Catering and the other two Bed and Breakfast basis. There is also bars on site dishing out plenty of drinks to get you ready for the big party night ahead. Escapades Ibiza Resorts are mostly located in and around San Antonio, with the only exception being the amazing Ushuaia Ibiza Beach Hotel, which is located across the road from Space in Playa D'en Bossa. All up there are six Escapes Ibiza Hotel options to choose from, with four offering Self Catering and the other two with a Bed and Breakfast set up. These awesome places will get you ready for the big party night ahead with fantastic pools and bars on site.